Refinancing is done to allow the borrower a better interest term and rate. 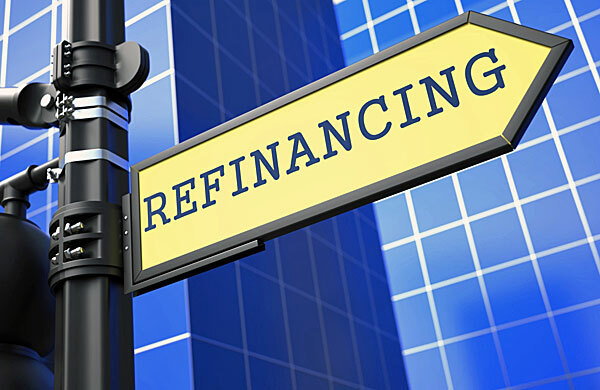 When the borrower has perfect credit history, refinancing can be a good way to convert a variable loan rate(a loan in which the interest rate charged on the outstanding balance varies as market interest rates change. As a result, your payments will vary as well)to a fixed rate(interest rate doesn’t fluctuate during the fixed rate period of the loan. This allows the borrower to accurately predict their future payments) and obtain a lower rate. If the borrower has bad credit, less than perfect, or too much debt it can make refinancing risky. Without having the right knowledge you can hurt your refinancing process by increasing the rate instead of lowering it. There are many reasons on why someone would want to refinance their home. Equity– Most people want to refinance when they have equity on their home. Equity is the difference between amount owed to mortgage company and the worth of the home. Lower Monthly Payments– Decrease the monthly payment and interest rate, if you plan on living in your home for the next several years. The borrower would not want to do this if they are thinking about moving soon since they may not be in the house long enough to recover from mortgage refinance and the costs associated with it. Avoid Balloon Payments– Good for lowering initial monthly payments and rates. If the borrower still owes money on the property at the end of each fixed rate term, which is usually 5 to 7 years then the entire mortgage balance would be due. Borrowers can easily switch over into a new fixed rate or adjustable mortgage rate. Banish Private Mortgage Insurance(PMI)- If you make a down payment less than 20% , the lender will require PMI. It is also required if you refinance the mortgage with less than 20% equity. This policy protects the lender from losing money in case of a foreclosure. Cash out portion of homes equity– Homes increase in value which is a great resource for extra income. Increased value gives the opportunity to put some of the cash to good use. These transactions are not only easy, but they may be tax deductible. Application Fee– Covers the cost of checking a borrowers credit report and initial cost to process loan request. Title Insurance– Covers cost of the policy issued by title insurance company, insures policy holder for a specific amount, and covers any loss caused by discrepancies found in the property’s title. It also covers the cost to review public records to verify ownership of property. Points and fees incurred in loan origination– Lenders charge a fee for their work in preparing and evaluating a mortgage loan. Lenders attorney review fees– The lawyer who conducts the closing will charge the lender for his fees, then the lender will charge those fees to the borrower. Closing Cost– Refinancing your mortgage will most likely come with closing cost. Depending on the location of the property with property taxes and insurance, it can cost anywhere from 3-6% of the new loan amount.